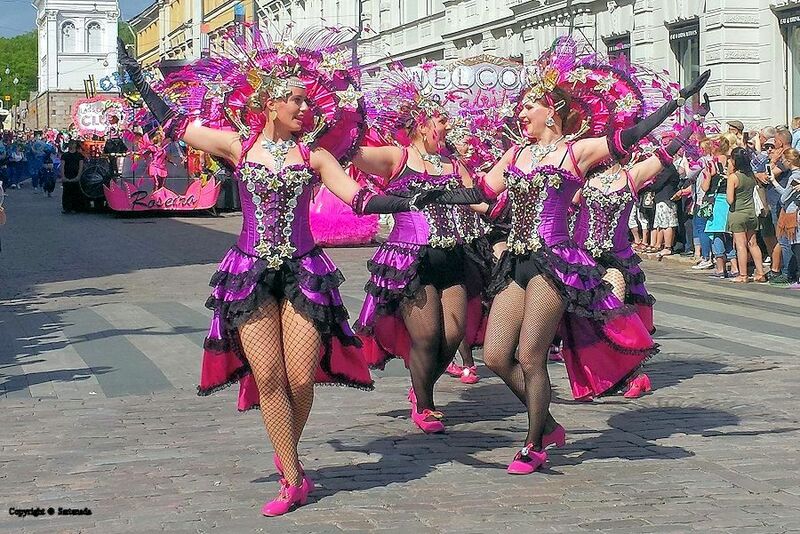 What amazing and colourful dresses and head gears, that looks like fun and I can imagine with the Samba music absolutely fantastic to watch. Thank you for the parade! 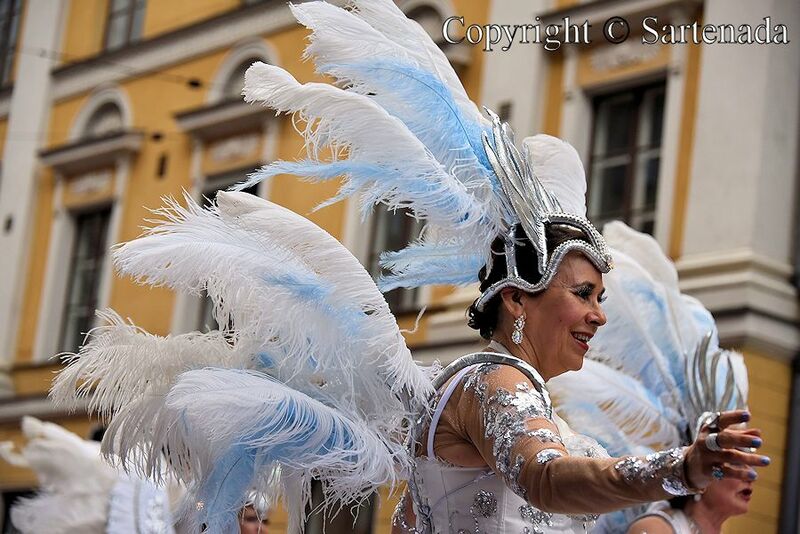 I am very glad that You visited Helsinki Samba Carnival thru our photos. Thank You. Wow, these are beautiful photos! I love how vibrant the colours are. 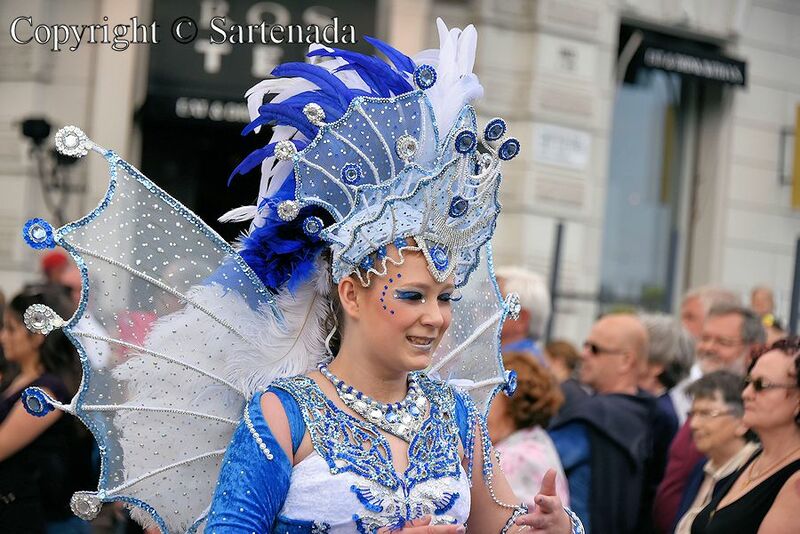 The costumes are so ornate, I can see why it takes so long to make them. We didn’t go as I don’t like big crowds, so this is a wonderful alternative, thank you! Oh thank You visiting my blog. I am glad that You loved this post.it is a challenge to shoot good photos, because everything happens so quickly. I’m enjoying some down time (or nap time for the little one). 🙂 I think you must have a good camera to capture such wonderful pictures! Thank You. Yes, I have good camera indeed, but very heavy. It does not matter. 🙂 Thank You. Tes visites sur mon blog sont toujours un plaisir pour moi. 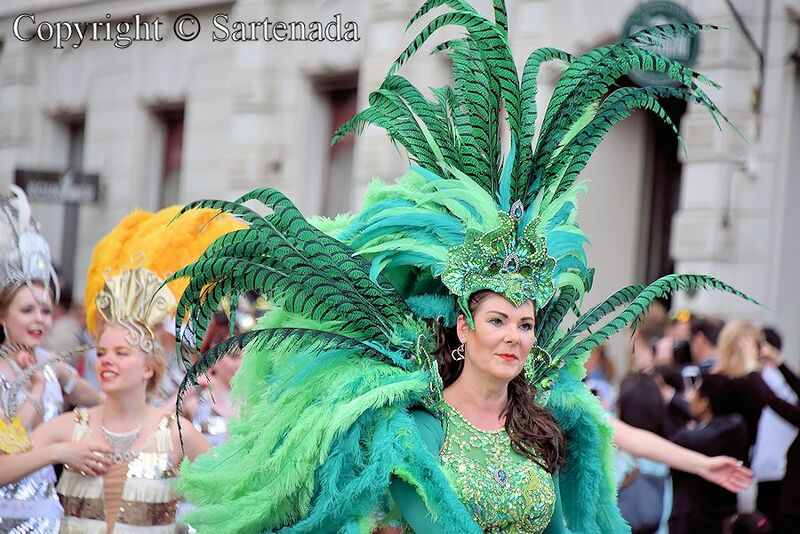 Je suis content que tu aimes mes photos de Samba. 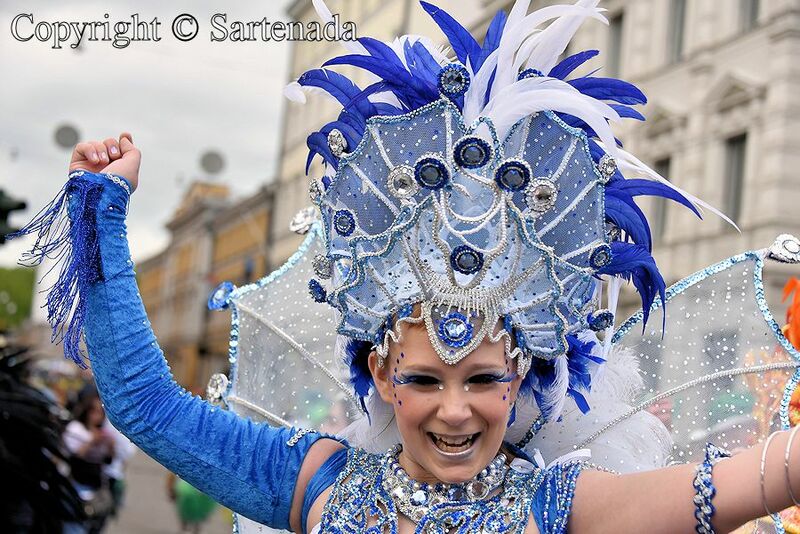 Can’t beat a pretty girl, smiling and dancing, Sartenada. 🙂 🙂 Happy Summer! I am glad that You loved our photos. 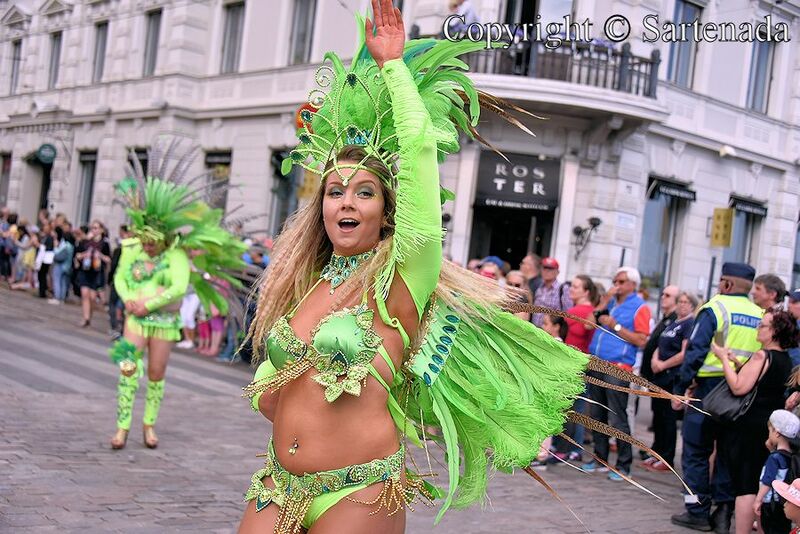 Carnaval music and dancers – excellent combination. Thank You. Happy summer to You also. 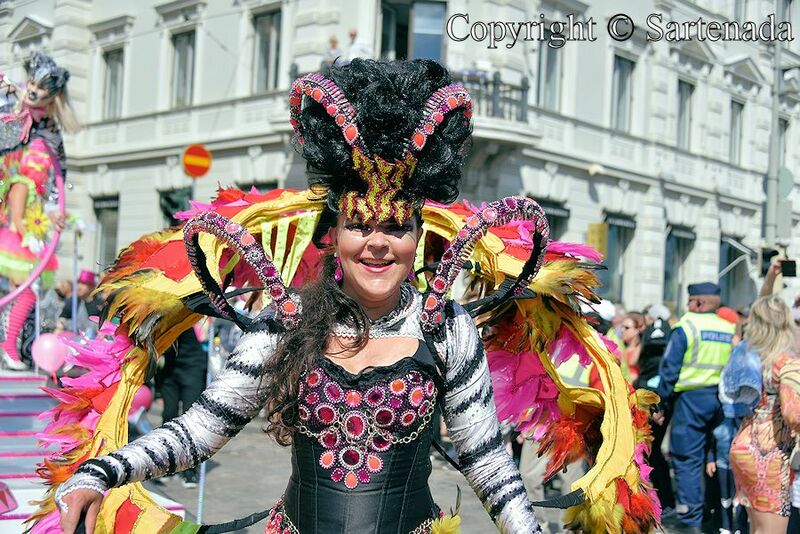 What exquisite costumes, thank you for bringing the carnival to life for me. 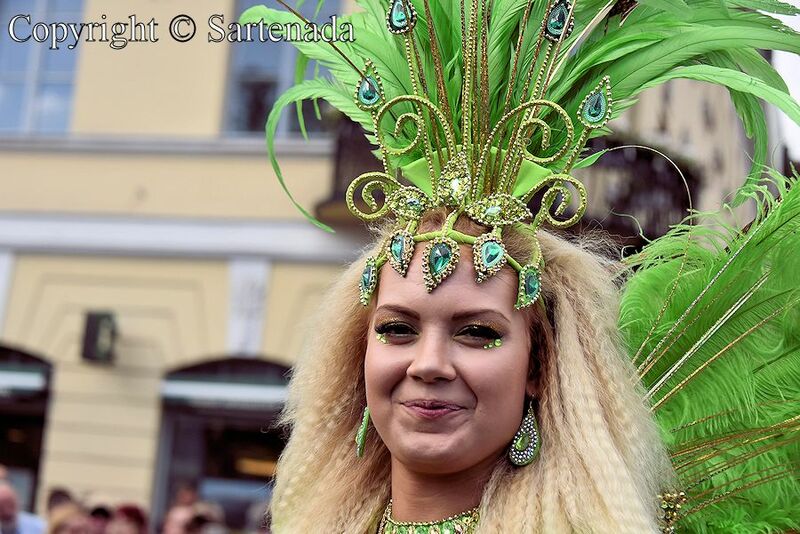 Samba in Helsinki – surprise? Thank You for Your kind comment. 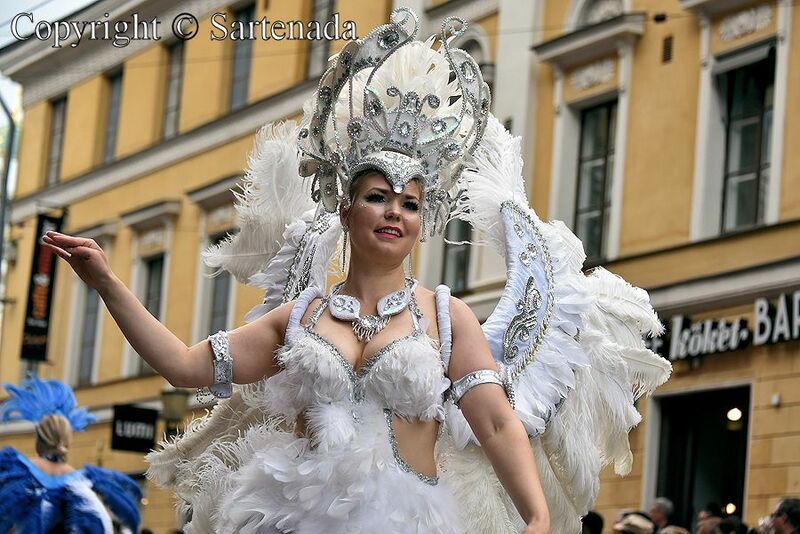 I am glad that You loved my photos and that Samba in Helsinki was a surprise to You. Thank You. 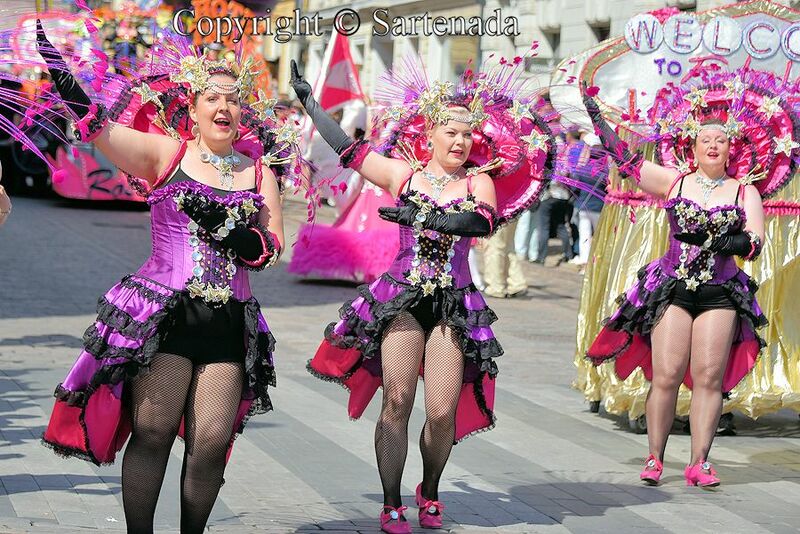 Ladies and pink – cool combination. Thank You. 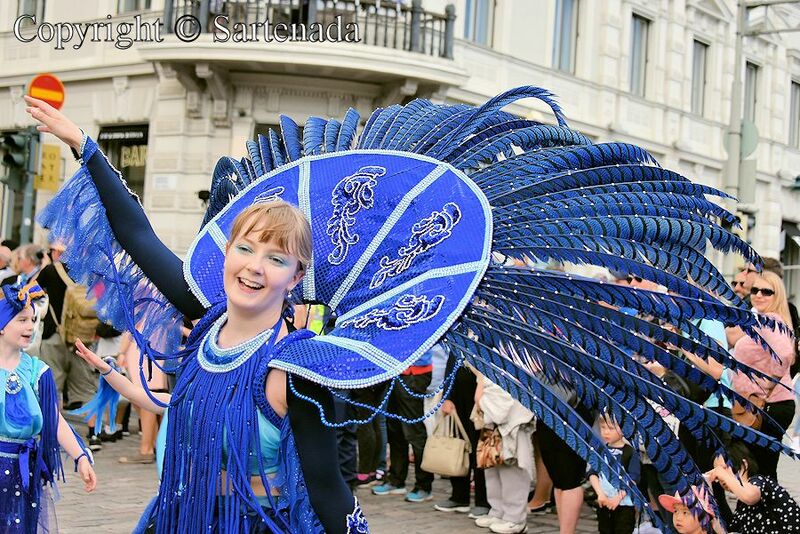 This is so interesting to see Samba in your country! It is popular in Japan too 🙂 As always I enjoyed your beautiful photos. 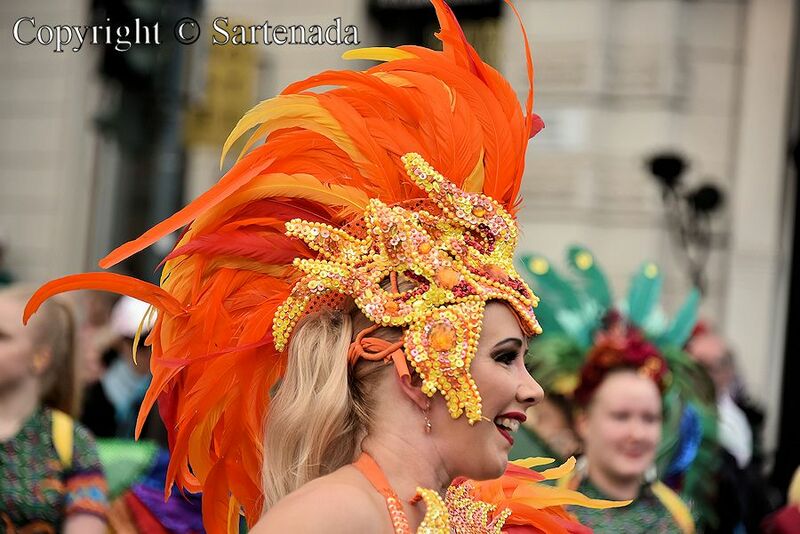 How nice to read that you have visited to Samba Carnaval in Helsinki. It is an unexpected experience in Finland, I think. 🙂 Thank You. Happy Juhannus to you too! 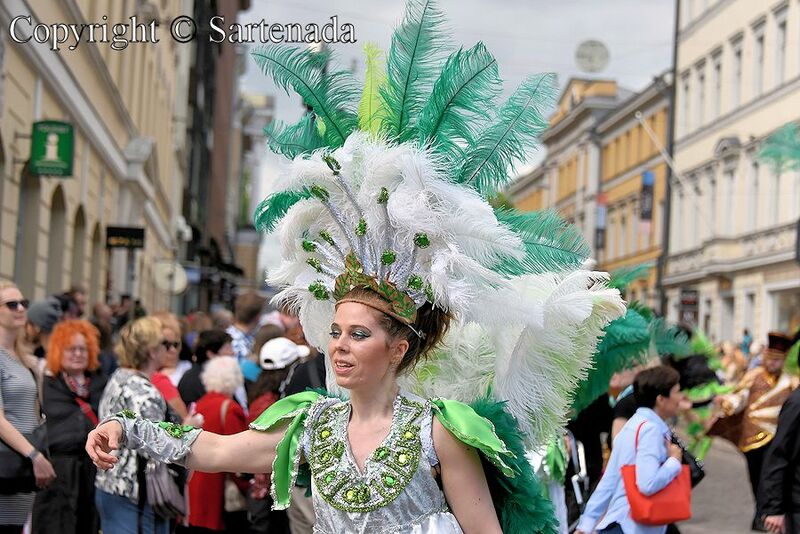 I did not know that there was a samba carnival in Finland. 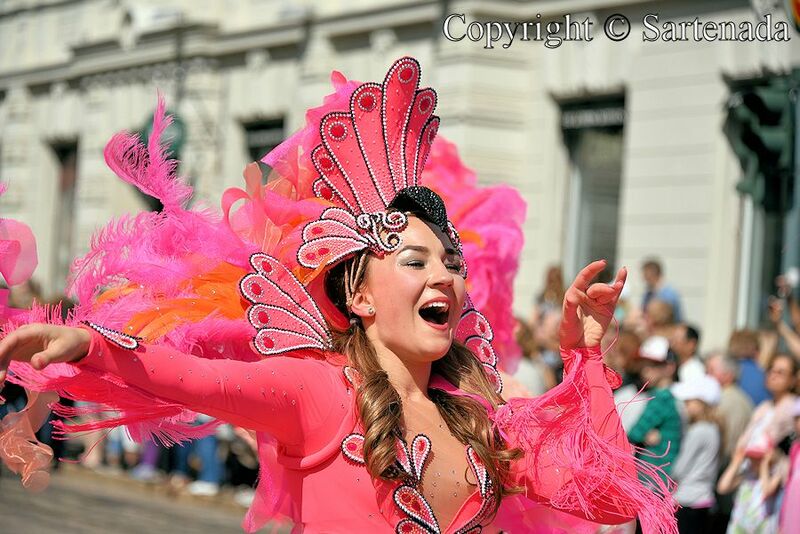 Even so, it is all gorgeous costumes. 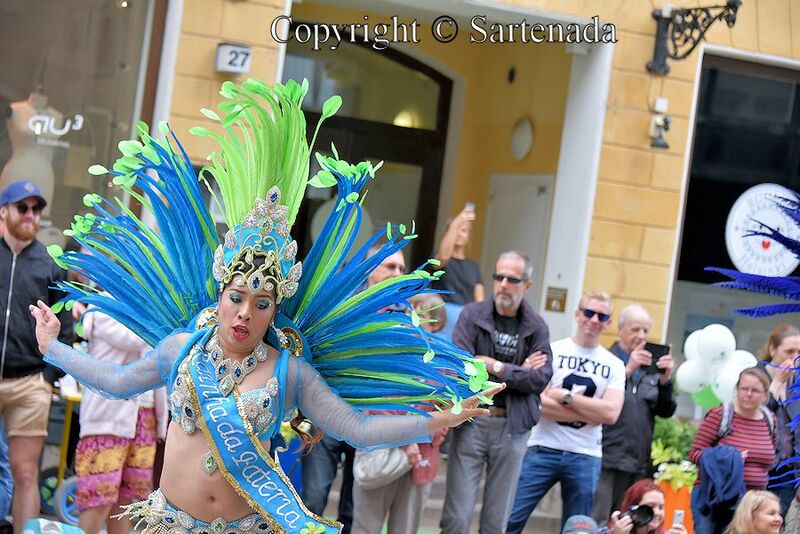 Is it a Finlander who is dancing? I am glad that You loved my post. 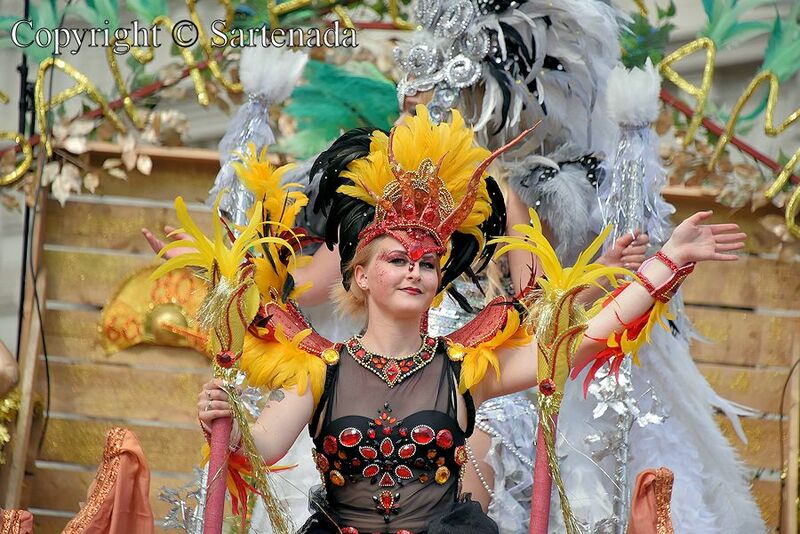 I am quite sure that dancers are Finns, although others can participate in it, if being a member of some Samba school. Thank You. Obrigado pelo seu comentário! Gostei tanto do comentário. 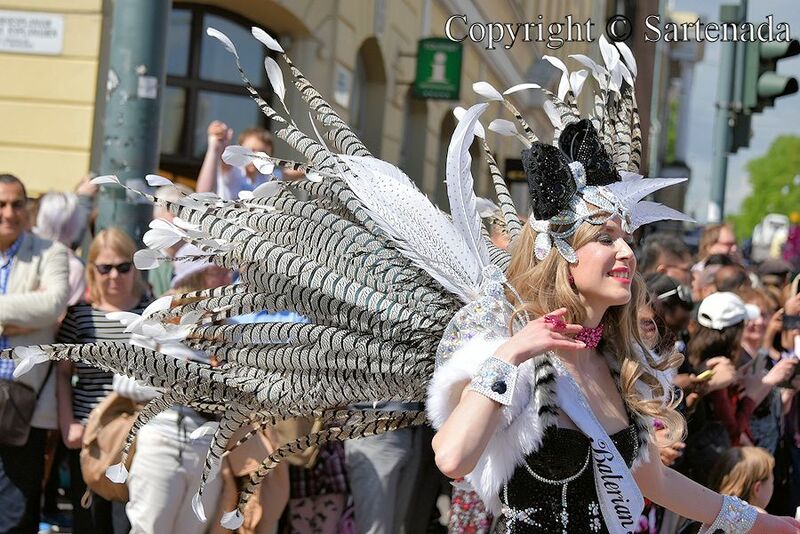 Truly lots of talent in making these lovely head dresses and costumes.loved the money dresses. Thanks for sharing!! Thank you leaving Your kind comment. It warmed my heart. 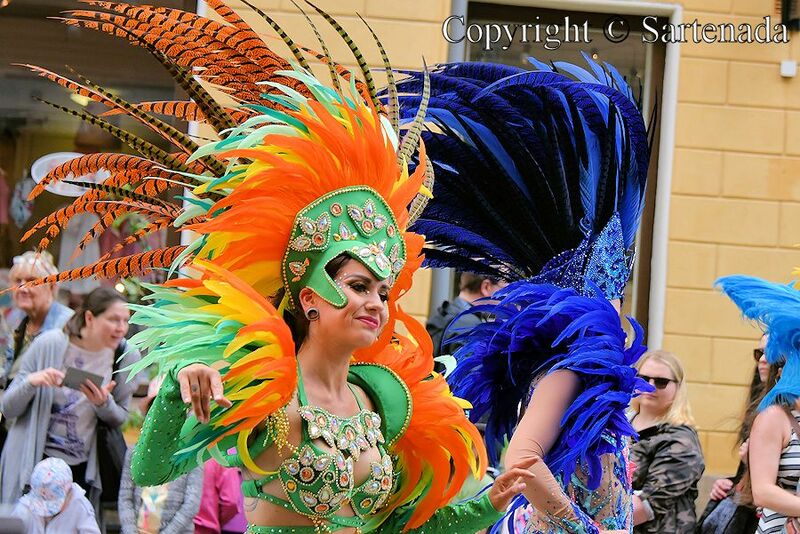 Those costumes are absolutely gorgeous and the colors are spectacular! What a lot of work goes into making them. A lot of very pretty faces, too! 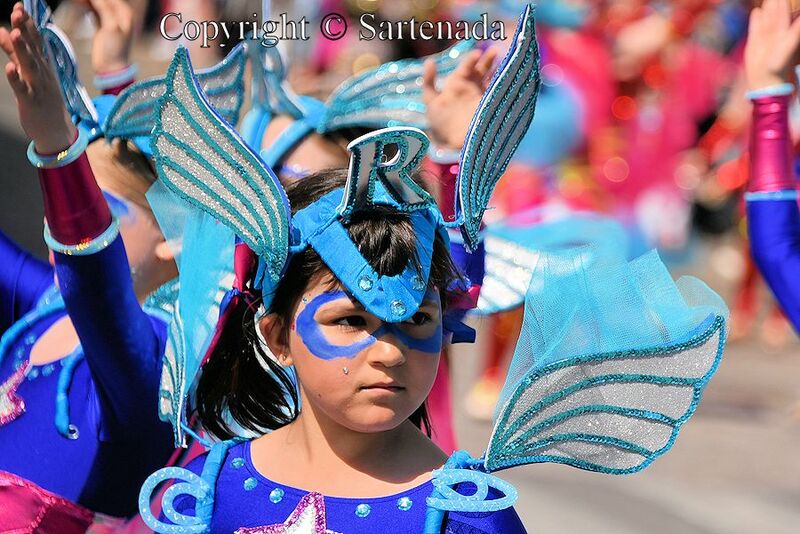 How pleasant it must be to watch that parade! Thank You. It was nice show to watch again, although we saw it for the second time. Oh yes it is cool experience. Thank You leaving Your kind comment. Have a nice week and greetings to Anja, too! What a nice surprise to read Your praising comment. I am very glad about it. Thank You loving our photos. Someday I will write to You, You know why. 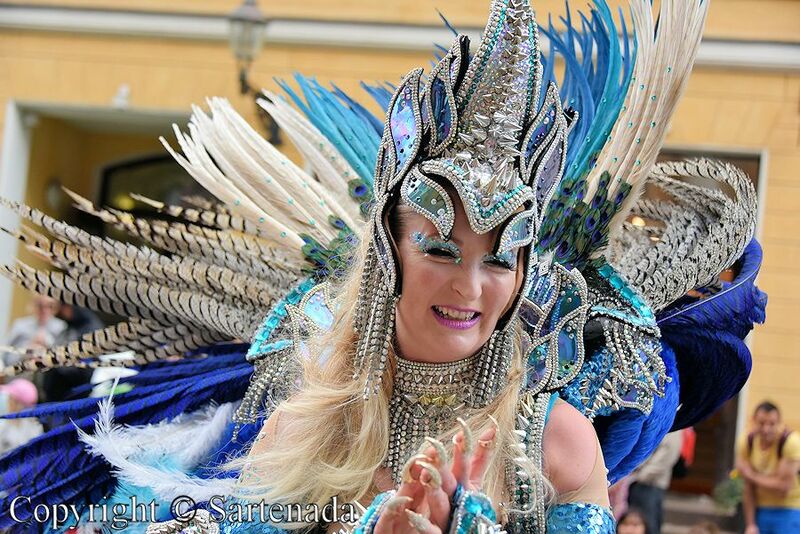 What a lot of fun and so many wonderful costumes. I am glad that You loved our photos and left Your kind comment. Thank You. 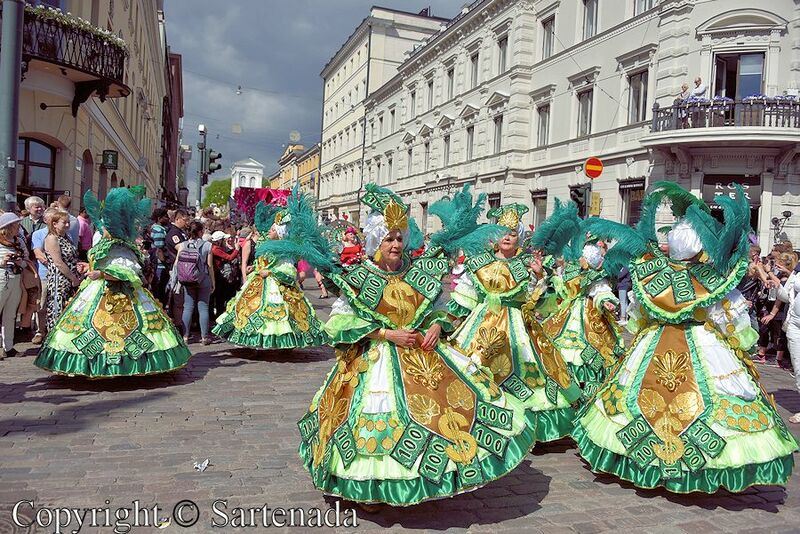 I learn something new each time I visit with you — I never associated Finland with the Samba before. 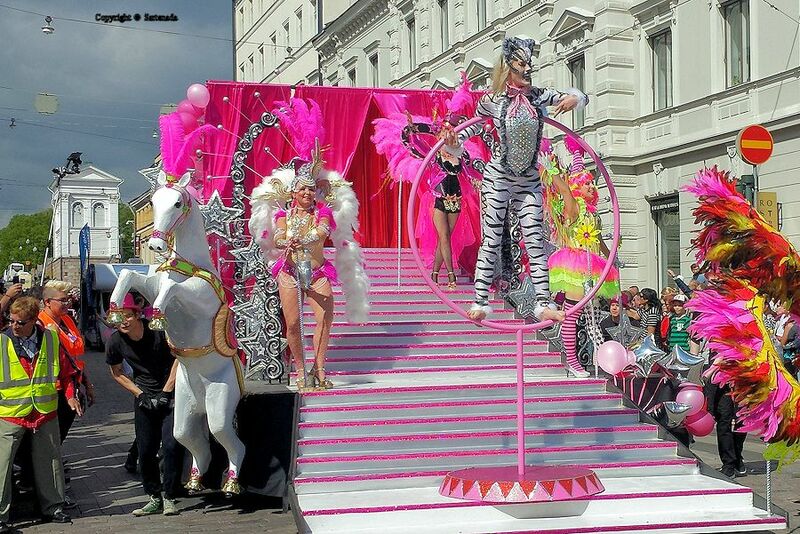 The costumes are absolutely amazing and gorgeous. 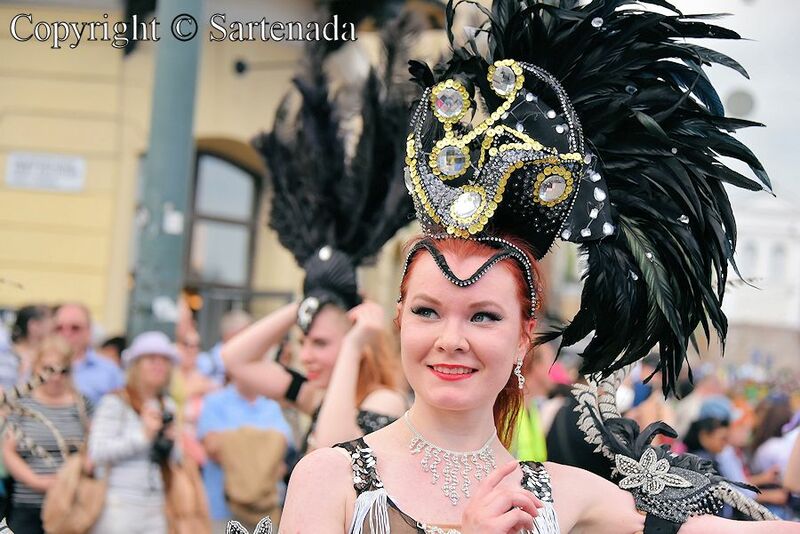 You are right, because one tourist asked us, while the parade passed, about what’s going. 🙂 I am glad that You loved my post and learnt something new. Thank You. 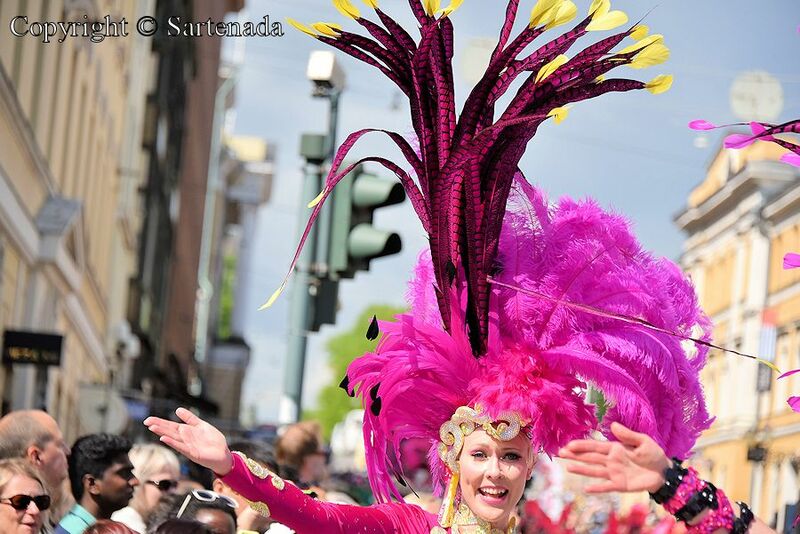 Samba carnival is held every year also in Tokyo. 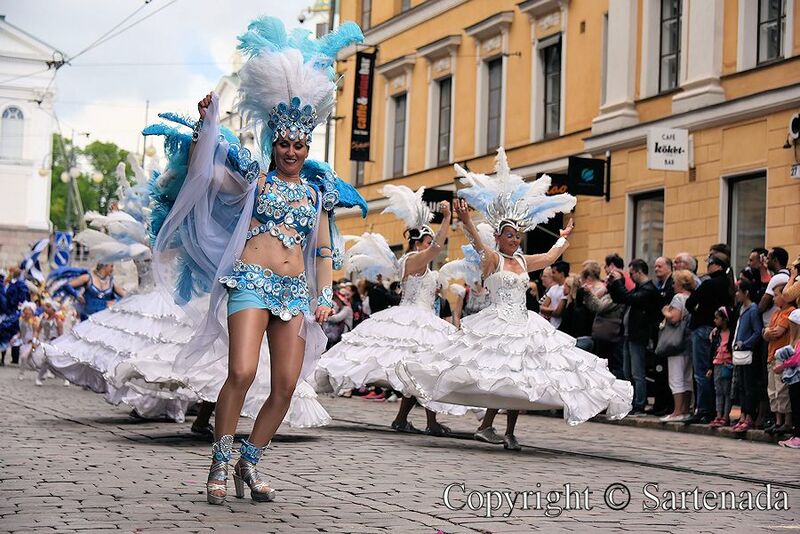 I didn’t know that Samba carnival held in Helsinki. 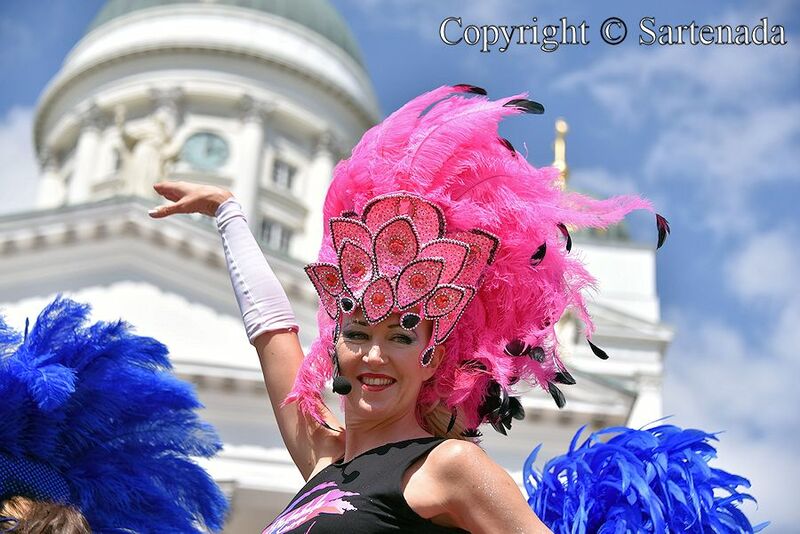 There is no image of Samba in either Helsinki or Tokyo. 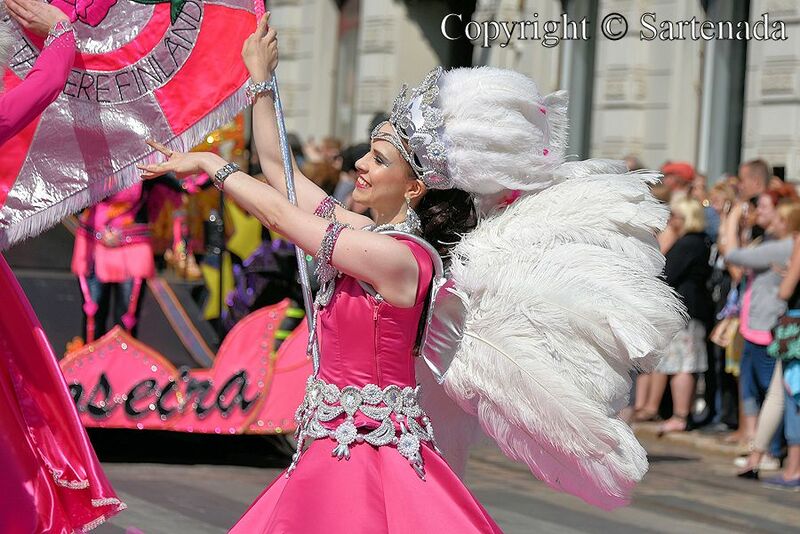 It seems a wonder sight that many dancers colorful costumes parade the city of Helsinki. Thank you for your nice photos, I could enjoy them. Thank you for telling me about Marimekko outlet. I visited the outlet in 2009, 2012, 2016. Marimekko is very popular among Japanese women. I love Marimekko very much. I knew about Akusa, because there is one post with photos about it, but in Portuguese. Thank You for Your lovely comment and loving my photos. 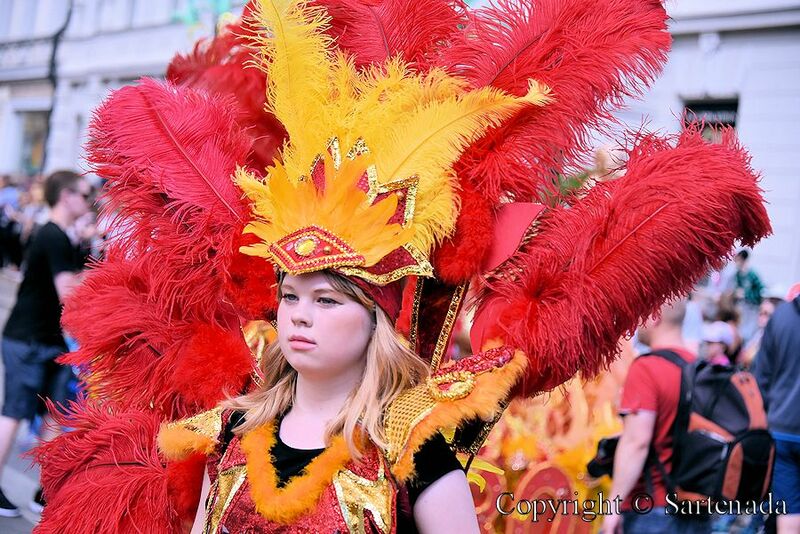 The costumes are incredible! Wonderful captures of the action. 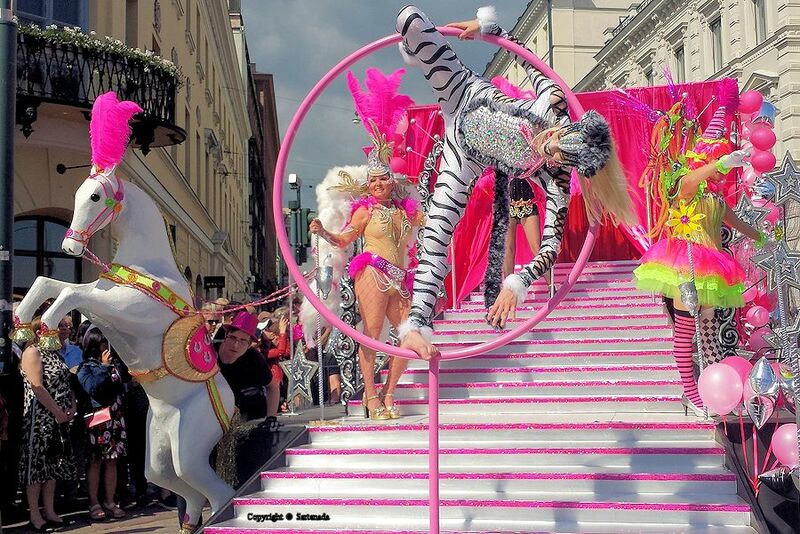 I can hardly believe this is Helsinki! I am very glad that You loved our photos. 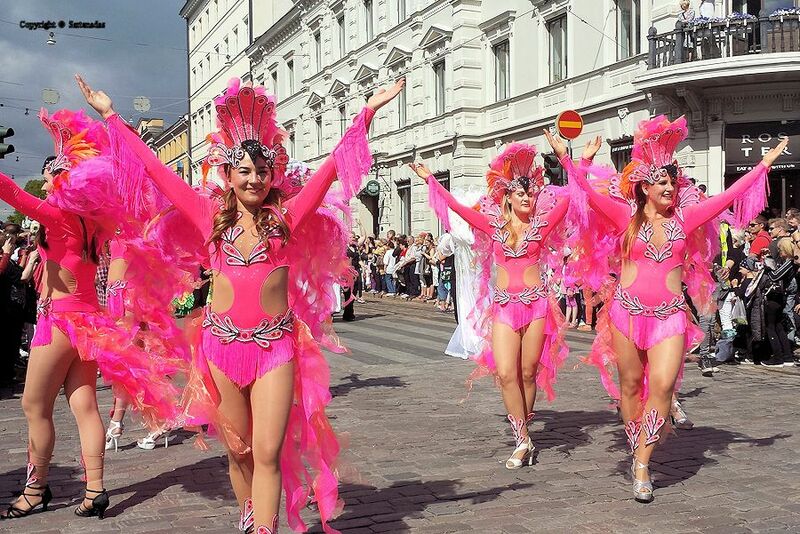 Finally, Helsinki and Finland are quite unknown for tourists. If I remember correct, You visited Finland once. 🙂 Thank You commenting so nicely. We haven’t been to Finland yet unfortunately but certainly plan to one day. You are welcome. The real summer starts from the beginning of June and ends at the end of August. Best time to visit northern areas is the end of August to mid-September. Biking is possible everywhere and then off highways offer best sceneries and views. Hiring a car is excellent choice. I am ready to answer to Your question when You plan Your trip to my country. Aviation Museum of Central Finland. This museum is near to the town of Jyväskylä in Tikkakoski. It has changed its name when we visited there. There is one special plane there, which is unique in the whole world – Brewster Model 239 (BW-372). In my post I have many photos about it. Thank You. For one person to shoot photos from everybody, it is quite impossible. My wife shot some photos using her old phone and there were indeed some, which I did not notice. You’re right! Happy midsummer to you too! 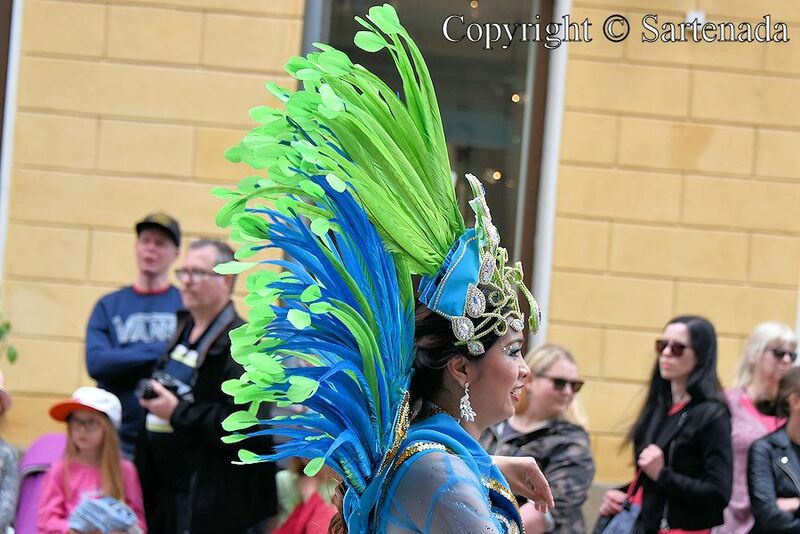 Finns love exotic things and Samba and Samba music is popular here. I am glad that You love my photos. Thank You. 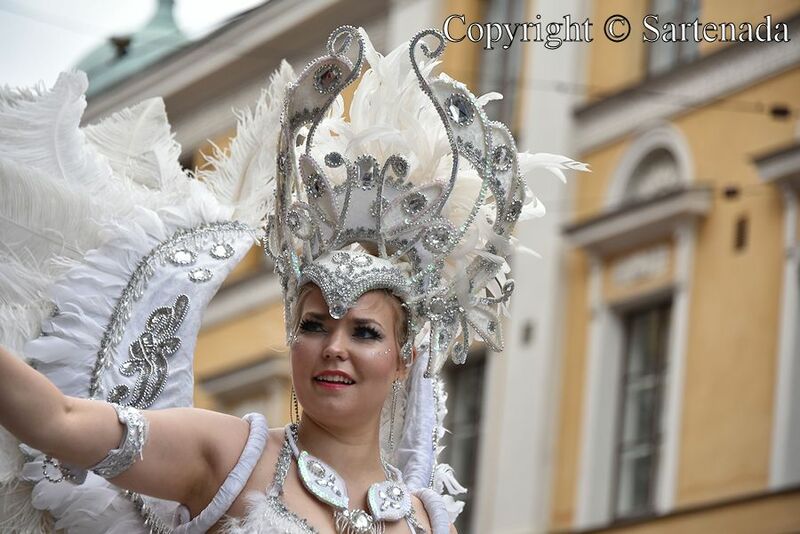 Muito lindas as fotos do carnaval em Helsinki! As cores e a alegria foram muito bem registradas! Muito obrigado. Fico feliz que você gostou das nossas fotos. No Brasil? Férias? Sim, estou de férias aqui no Brasil! Apesar de ser inverno por aqui as temperaturas estão mais quentes do que as temperaturas Mikkeli! in Japan a lot of lady learn Hula or Flamenco. Thank You leaving your kind comment. 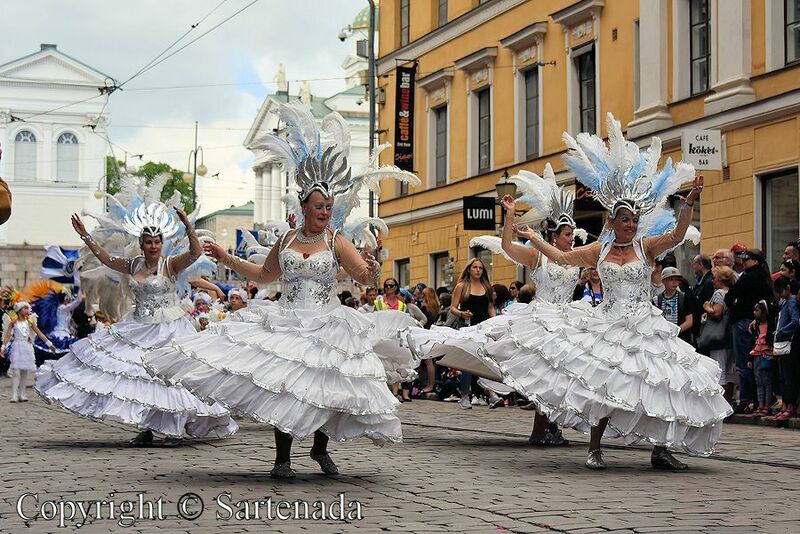 Hula and flamenco are known in Finland also, but not so popular any more. 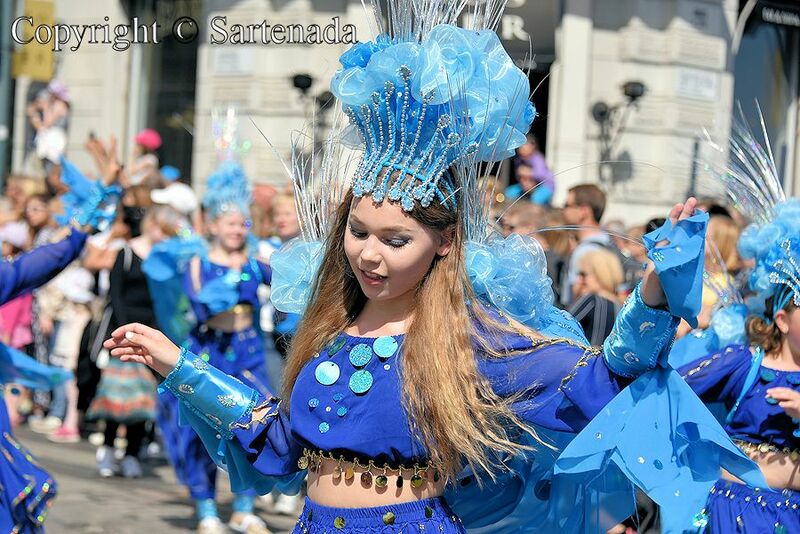 I am glad that You loved Samba in Finnish way. Thank You. Spectacular photos! 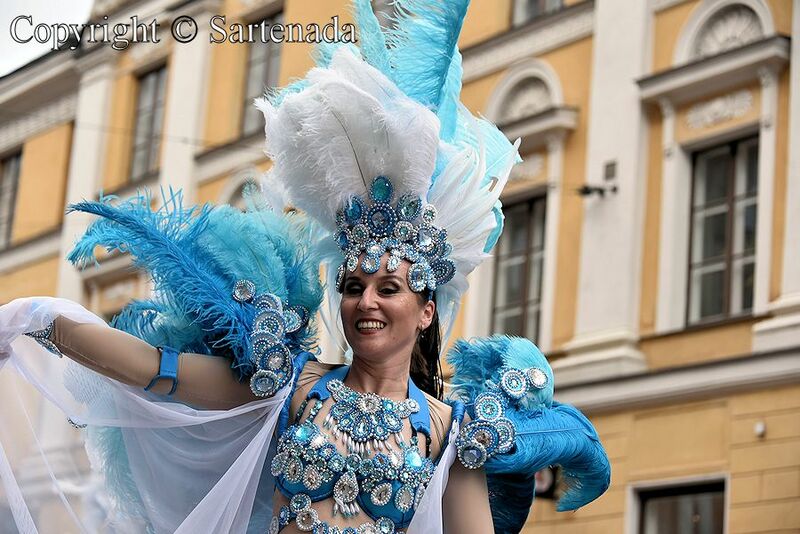 And I certainly would not have expected to see Samba dancers in Finland! 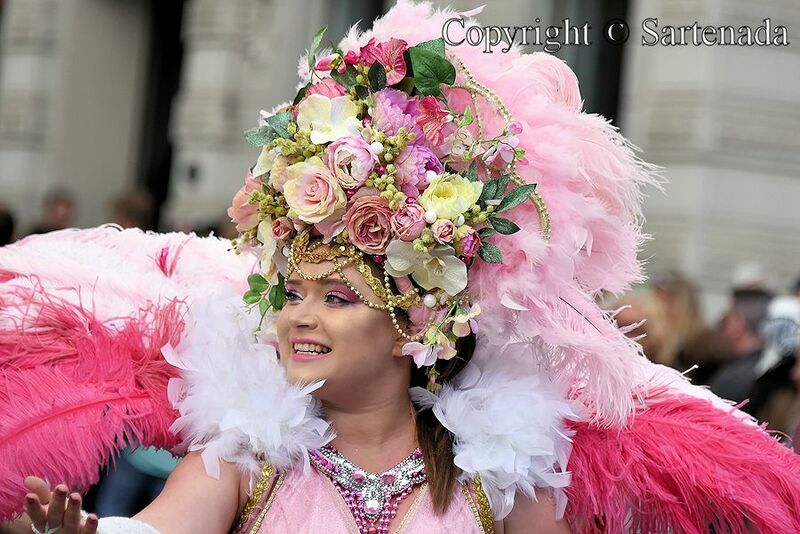 I especially like the head dresses. What a wonderful event! I am very glad that You loved our photos. Maybe someday You will see it. Je suis heureux que vous avez aimé mon poste et des photos. Merci pour votre si gentil commentaire. I almost became a travel blogger, now my blog about blogging tips. I travel often but I I have never been to Finland. I met you at Jason’s blog party. I can help you get traffic and subscribers. I also host six blog parties a month where you could meet new readers. Here is a link to a recent article that I wrote explaining how to improve blog writing. Thank You commenting. To me traffic and subscribers are not so important, but regularly visiting and commenting bloggers, they are! Visitors I have, when writing this, 556 482 from 200 different countries around the world. 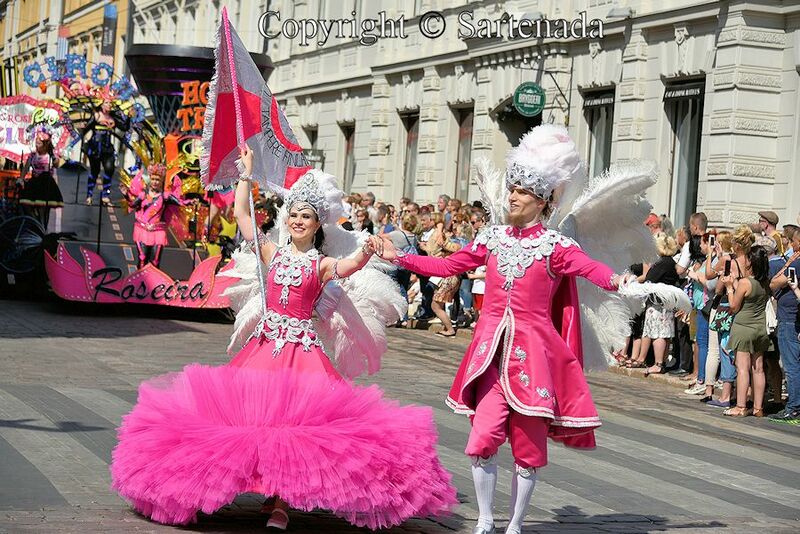 Beautiful and very vibrant parade. 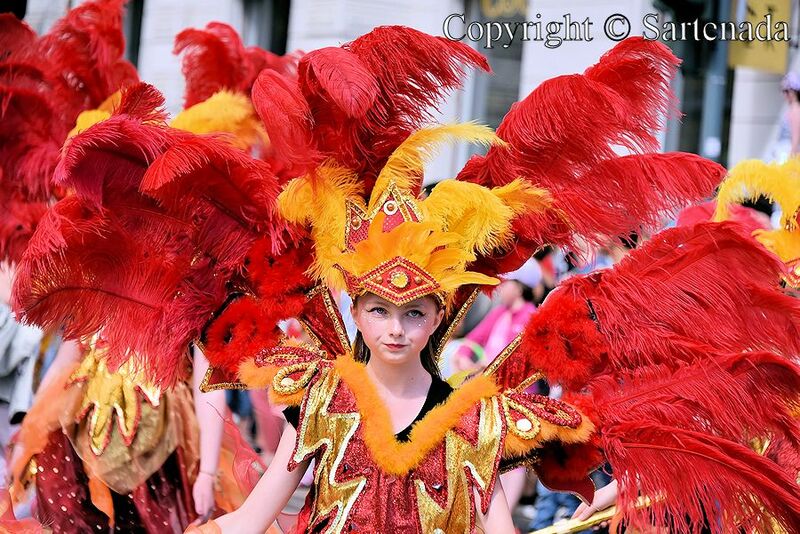 The costumes are incredible indeed; the participants have been very creative. 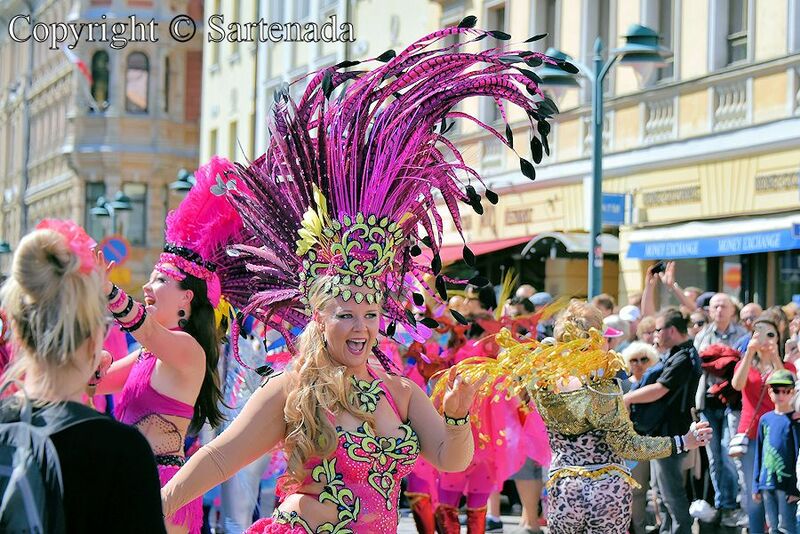 This kind of carnival does not form part of our traditions, probably because of the diversity of races and population groups in South Africa. I would not mind joining in on such an occasion. Thank You. How nice to read that I did find one thing from my country which would love to see. Have You ever though that in my country in the north in summer, sun never sets? Midsummer is the apex of summer, although summer continues two months, before autumn comes. Many Finns go to visit their summer cottages and spend their vacations there. In Finland, we have 187 888 lakes. Many make cruises on lakes at midsummer.